Looking for a tasty midweek dinner option? 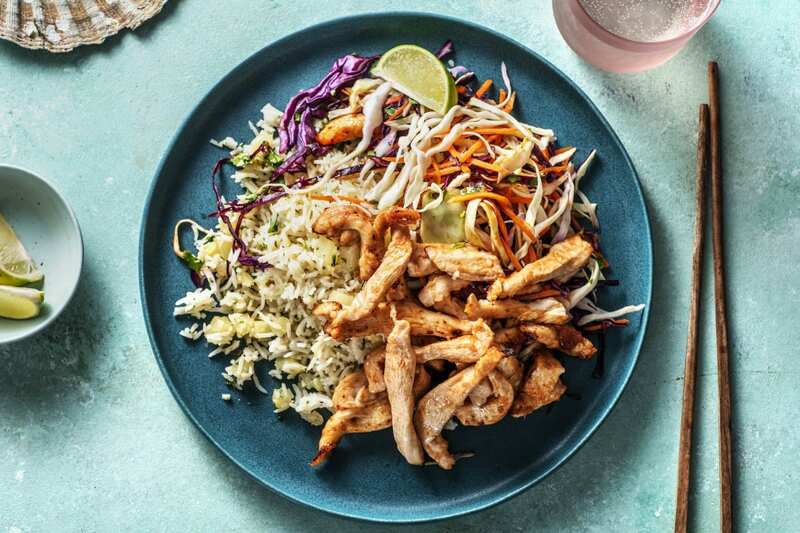 Try cooking up our Chicken with Pineapple Rice and Slaw in just 20 minutes for a balanced and tasty meal. a) Reserving the juice, drain the pineapple rings using a colander. 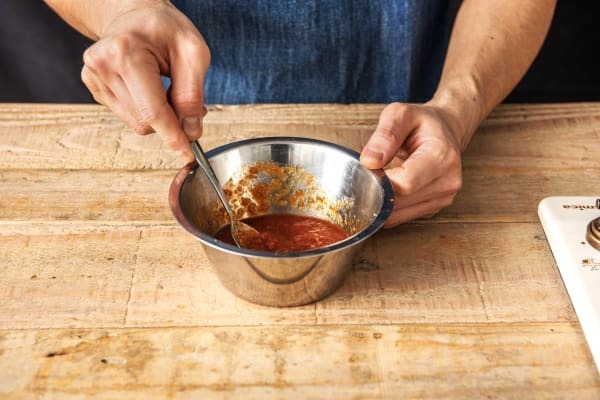 b) Mix half of the easy ginger, the soy sauce, ketchup and 1 tbsp of pineapple juice per person in a small bowl. Stir to combine. 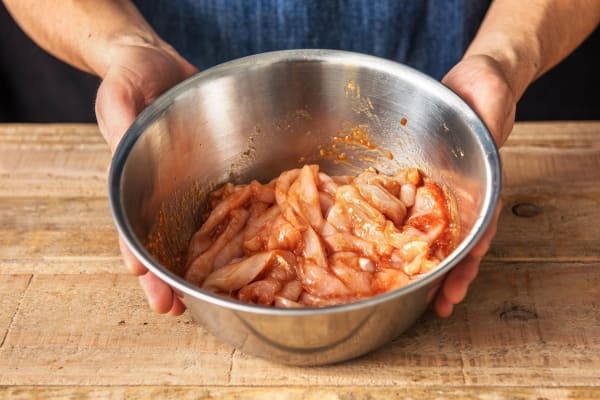 a) Cut the chicken breasts into 1cm thick strips and pop into a mixing bowl. b) Pour in half of the marinade and a drizzle of oil. Mix to coat the chicken evenly. TIP: Don't add all of the marinade the rest is for the coleslaw. c) Pop the chicken onto a foil-lined baking tray and grill until done, 12 mins. Turn halfway through cooking. iIMPORTANT: Wash your hands and equipment after handling raw meat! IMPORTANT: The chicken is cooked when it is no longer pink in the middle! a) Chop the pineapple rings into 1cm pieces. Trim, halve and deseed the green chilli. Finely chop into small pieces. 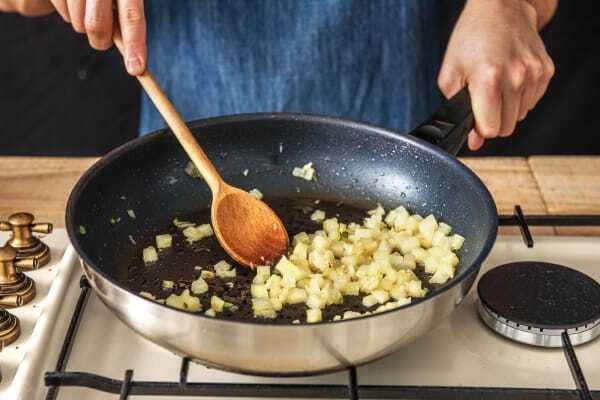 b) Heat a splash of oil in a large frying pan over medium-high heat. c) Pop the pineapple, green chilli and the rest of the easy ginger into the pan. Cook for 1 minute. d) Stir the rice into the pan and cook until piping hot, 2 mins. TIP: Stir occasionally to break up any lumps. 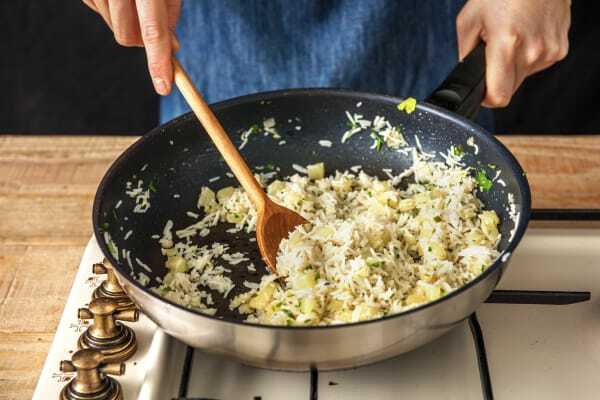 a) Once the rice is piping hot, add a good squeeze of lime juice, a pinch of lime zest and the rest of the coriander. Mix well. b) Season to taste with salt and pepper. c) Remove from the heat. 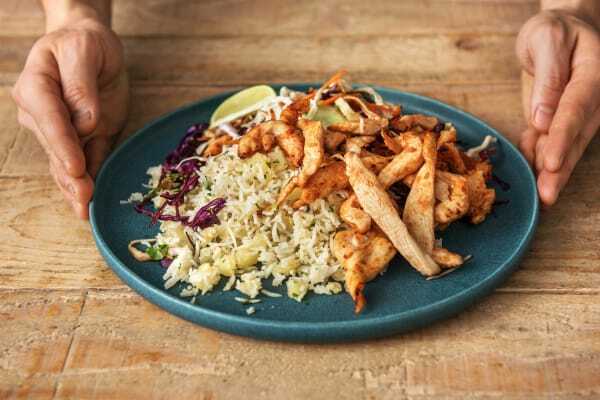 a) When the chicken is cooked, serve the pineapple fried-rice on plates with the chicken strips on top. 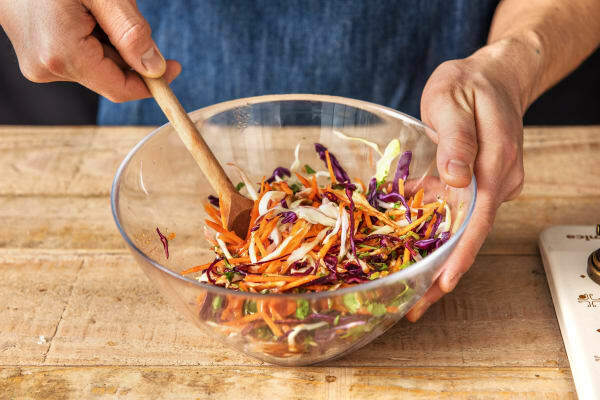 b) Pop the Asian slaw on the side along with any remaining lime wedges. Dig in!